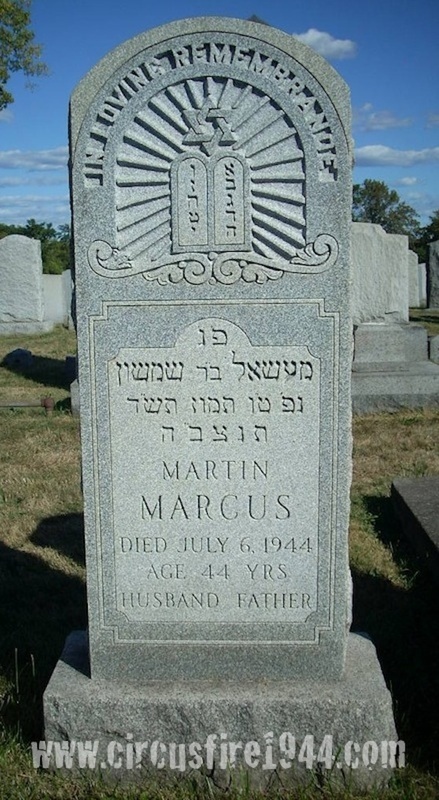 Martin "Max" Marcus, of 102 Baltimore Street, Hartford, was born January 4, 1900 in Romania, son of Miriam and Samuel Marcus. Mr. Marcus was found dead at the circus grounds after the fire on July 6, and was buried at the Barbour Street Cemetery after services at the Hartford Memorial Chapel on Friday, July 7. 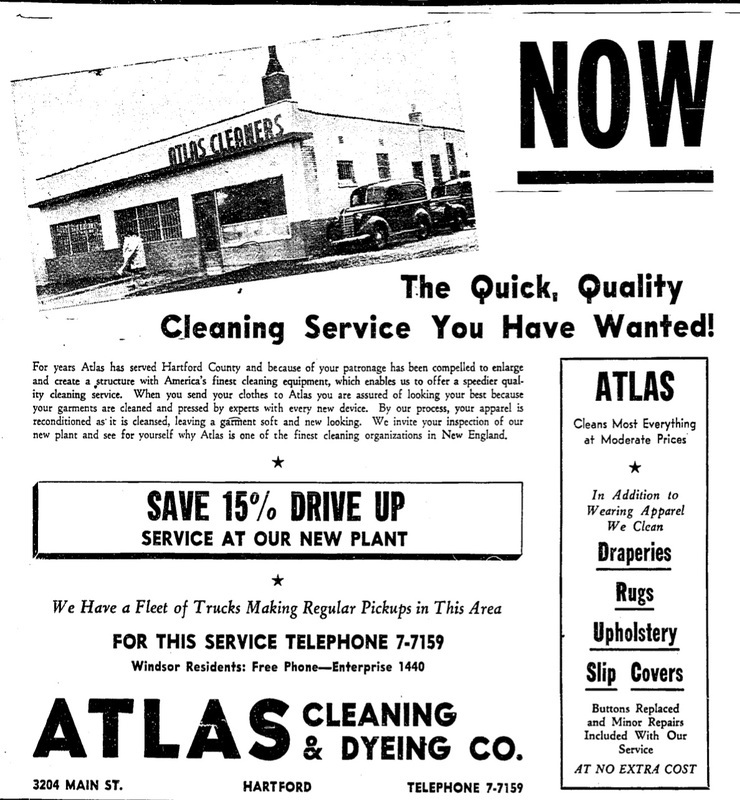 Max leaves his wife, Elsie (Kaplan) Marcus, 39; sons Melvin, 16, and Aaron, 9; a brother, Samuel Marcus of Montreal; and a sister, Mrs. Betty Rosenweig of New York City. Body #4555 was identified as Martin Marcus at the State Armory by a brother-in-law and Dr. Toublin on Friday, July 7. Body #4555 had previously been identified as Stanley Leonard of Simsbury by his sister Elizabeth Lodge but returned when Mr. Leonard was discovered to be alive. 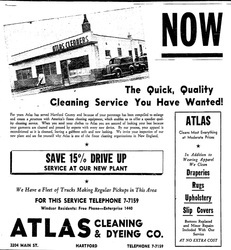 Max was the president and director of the Atlas Cleaning and Dyeing Company at 3204 Main Street, Hartford. 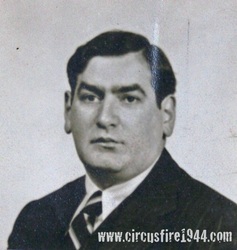 He had chronic tuberculosis from which he was showing improvement and was able to return to duties with the company. Mr. Marcus' estate was awarded $12,000 by the arbitration board.